NGC 7380 (also known as the Wizard Nebula) is an open cluster discovered by Caroline Herschel in 1787. William Herschel included his sister's discovery in his catalog, and labelled it H VIII.77. It is also known as 142 in the 1959 Sharpless catalog (Sh2-142). This reasonably large nebula is located in Cepheus. It is extremely difficult to observe visually, usually requiring very dark skies and an O-III filter. 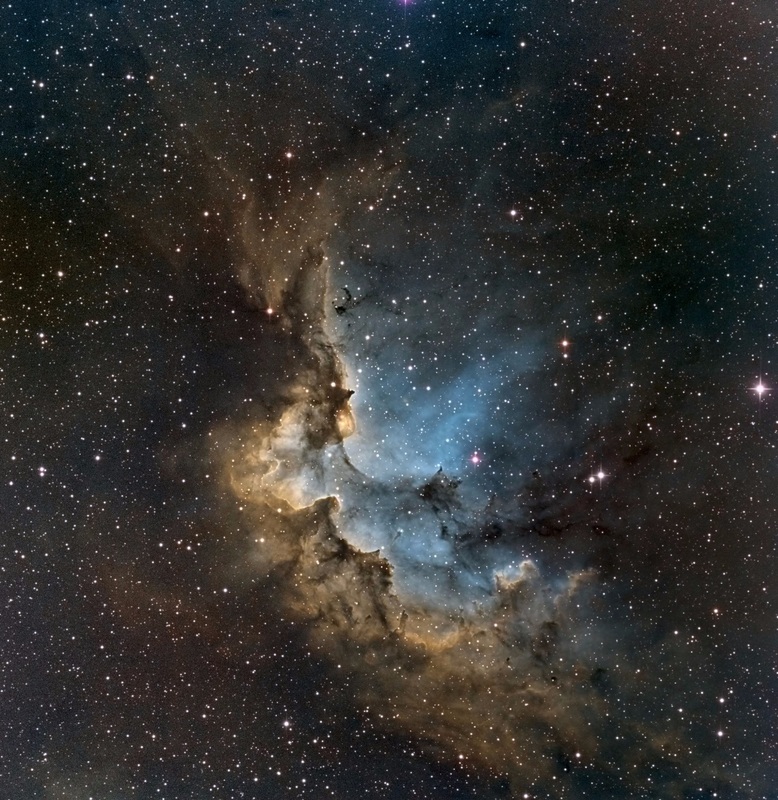 Located 7200 light years away, the Wizard nebula, surrounds developing open star cluster NGC 7380. Visually, the interplay of stars, gas, and dust has created a shape that appears to some like a fictional medieval sorcerer. The active star forming region spans 100 about light years, making it appear larger than the angular extent of the Moon. The Wizard Nebula can be located with a small telescope toward the constellation of the King of Aethiopia (Cepheus). Although the nebula may last only a few million years, some of the stars being formed may outlive our Sun.